The history of so-called Electronic music, under the umbrella of which Tape music loosely shelters, is by definition short. The very first Electroacoustic compositions began to emerge in the 1930s with Walter Ruttman’s Weekend (1930) Johanna Beyers mysterious Music of the Spheres (1938) and John Cage’s 1939 work Imaginary lands; while the first piece to exploit the technology of Electromagnetic sound recording is surely Halim El-Dabh’s The Expression of Zaar, A 1944 piece of proto-musique concrete that El-Dabh created using a magnetic wire recorder; the forerunner of magnetic tape. The following decade saw the widespread availability of commercial tape recorders and an explosion in experimental music utilizing the medium. Widely considered the God-father of tape-based composition, Pierre Schaeffer and his Groupe de Recherches Musicales focused on the use of concrete or everyday sounds. The composers of the Columbia Princeton Electronic Music Center looked into new textures and sonorities. And Karlheinz Stockhausen combined his tape experiments with a full orchestra and serial composition. Key to all of these movements was also education and as a result, a second wave of composers, performers and experimenters turned to magnetic tape as a mode of expression. A key figure in the tape music of the ’60s and ’70s is Terry Riley, a product of academia like the composers above mentioned and considered a member of the minimalist school, Riley fused his modernist experiments with the emerging mainstream cultures of the time; collaborating with artists such as Chet Baker from the world of Jazz and members of Rock group the Velvet Underground. Riley’s influence on the current generation of Tape Composers is partly down to these associations and partly down to the radical techniques he employed. A lifelong student of Indian Classical music, his ear picked up on the Raga like incantations of the tape loop. Looping wasn’t new, the 1950’s pioneers had used it extensively and had employed it in early explorations of Tape delay or “feedback”. Riley’s innovations were two-fold. Firstly he used existing recordings of contemporary chart hits (thereby also pioneering sampling) and secondly he extended the length of his loops. (on one occasion sending the tape out of his apartment window, around a wine bottle and back to tape head). These two practices form the cornerstone of many a modern day tape artist’s repertoire, with the use of tape delay being further refined by Robert Fripp and Brian Eno. Their concept of Frippertronics employing two other key elements. A live input source and a second tape machine. Frippertronics takes advantage of the fact that a slight delay will occur as the tape passes between the “read” heads of the two machines. This time lag produces a ghostly echo when the outputs are blended together and can be further enhanced and manipulated by slowing down one or other of the tape heads or by pulling on the moving tape. The concept of a live sound source (in this case Fripps Les Paul Guitar) means the whole setup becomes an instrument. It adds a whole range of expressive techniques that lend themselves naturally to live performance. A final key figure of influence upon today’s scene is also an artist still very much at the peak of his powers, William Basinski. I have included him here merely in passing as a true insight into his work necessitates a separate article. Basinski’s Disintegration Loops is a seminal series of albums for many current practitioners of experimental music. Starting life as a simple attempt to digitize old tape recordings of his work, Basinski found that time had taken its toll and the reels quickly began to degrade during the processes. The result is a series of constantly evolving soundscapes that dissolve into nothingness, Riley had experimented with this concept on works such as Bird of Paradise. Basinski, however, was the first to truly foreground the effect. Incredibly Basinski completed this project on the morning of September the 11th 2001. As he debuted the compositions to some friends at his New York apartment, the World Trade Centre was struck and the group witnessed the unfolding horror as the composer’s sonic metaphor played out behind them. It is Basinski’s inclusion of himself and the act of creation in the finished work that provides us with a final key feature of modern tape music. Defined by many as Hauntology, it is the notion of a grounding in time and place that is familiar yet liminal and transitory. The Tape loop provides not only a nostalgia for our shared recent past. It is also forever different with every pass of the tape head. In the words of Brian Eno, “repetition is a form of change”. The following provides just the briefest of overviews; I encourage everyone to follow the accompanying links and dig deep into the output of these artists. London based Robin the Fog is both a freelance Radio producer for the likes of the BBC and a multi-disciplinary sound artist. His work encompasses everything from Sound Design for mainstream stations Radio 4 and the World Service; to more Outre undertakings for BBC Radio 3 and Streaming station Resonance FM. This varied output often being defined simply as “Radiophonic”; a direct reference to the BBC Radiophonic workshop and in particular it’s most famous member Deliah Derbyshire. The parallels are obvious and The Wire magazine likened his work to Derbyshire’s seminal Legend of Hell house Soundtrack. It is these comparisons and RtF’s source material for his tape loops that have found him a place in the relatively new genre of Hauntology. A term first coined by Jack Derrida, initially as a play on the word ontology or the study of existence. With this double entendre Derrida posits that the modern age has left us detached from meaning and any reference points we seek from history are haunted by the spectres of unrealized futures. UK music Journalist Mark Fischer, in his K-punk blog, was the first to apply this term to music. In his definition, the age of digital music has made the future redundant, Hauntological music mourns the imperfections and “surface noise” of the past. Its Tropes are Cold War era Public Information Films and Television of the ’70s and ’80s, it at the same time disconcerting and comforting. And it was into this bleak yet welcoming realm that Howlround stepped with their 2012 debut, The Ghosts of Bush House. An album that is part high concept sound art, part Lo-fi Experimentation; at times Hauntological satire yet laced with private nostalgia; it is personal and universal. Bush House is a grand edifice of Portland stone that sits between Aldwych and the Strand in an area of London soaked in cultural heritage. First commissioned as an Anglo-American trade centre and known as the worlds most expensive building in the lead up to its 1935 opening, Bush house became home to the BBC World Service in 1940 when the Luftwaffe put them out on the streets. It was from here they broadcast until 2012 when a certain studio manager spent his night shifts recording the natural ambiances and resonances of the increasingly empty building. These recordings were then processed in a number of the above-mentioned ways. Loops were fed back into themselves, sections bounced between two tape machines and the playback speed manipulated. All this was done in the basement of Bush house on Original reel to reel tape recorders, similar to those used by Derbyshire and her colleagues 50 years before. The resulting album stands astride the genres of Musique Concrete, Electroacoustic, and Hauntology. It is unsettling and difficult, yet warm and sentimental; like a siren song from the icy water, it pulls you into places you suspect you shouldn’t go. It is also uniquely English; imbued with a wry sense of humour and encrusted with seven decades of BBC dust yet worldly and outward looking. In spite of these secluded beginnings, however, Howlround are also famous for their live shows. Taking Riley’s tape loop experiments to the extreme, Howlround bring the performance into the audience. Utilizing anything and everything present in the space, the black tangle of eight tape heads entwines pillars, pint glasses, punters and always at some point, a statue of the Buddha. Howlround’s’ recorded output has continued at around one album a year to date; the majority of which being released on Robin the Fog’s own netlabel the Fog Signals. A venture that, in his own words, was a “hare-brained” scheme “…to set up a label specializing in obscure sound art in the midst of a massive recession.” It has lead to many great things, however, not least of all a tour alongside the great William Basinski. Among the discography are also a number of collaborations and side projects all worth checking out. Notable among these being Torridon Gate an album consisting entirely of manipulated contact mic recordings of a garden gate and released on the quintessentially English home of all things Hauntology, A Year in The Country. 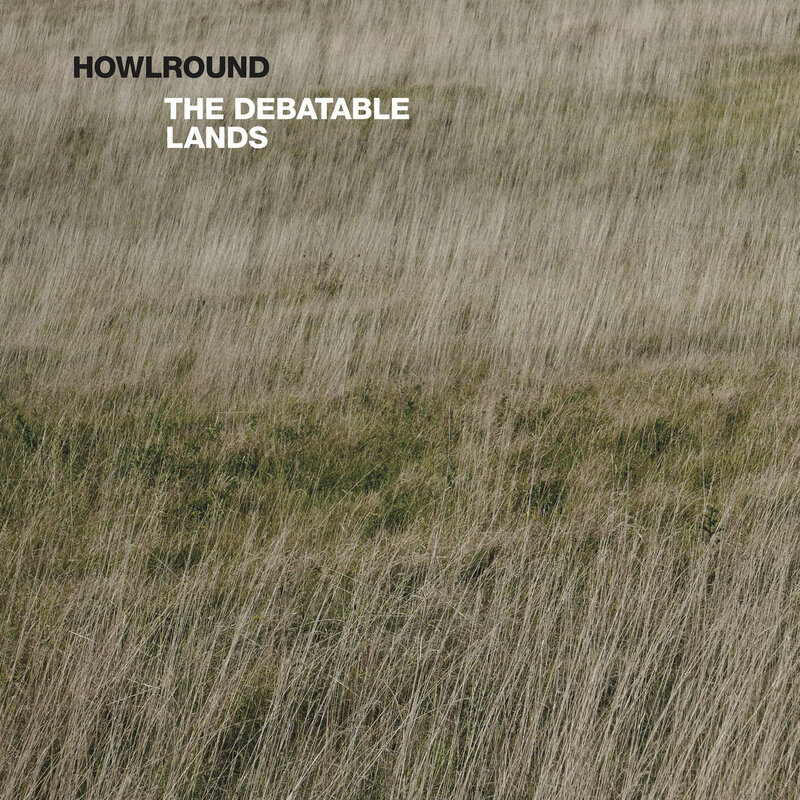 Latest offering, The Debateable Lands is released on Touch. The multi imprint home to many contemporary Sound Artists, Field Recordists and experimental composers; now in its 37th year and also involved in the promotion of live shows for many of their artists. The Debatable lands is another work filled with hidden autobiography and whimsical in-jokes. It represents a Journey both spatial; consisting as it does of recordings from the inner working of a tape machine the artist made whilst back in his hometown. And temporal, representing a return to the pulsating rhythms of the Techno he listened to whilst resident there as a teenager. The music of Robin the Fog and Howlround being very much the sound of growing up in ’70s and ’80s Britain; forever on the cusp of a future that would never be delivered. It manages, however, to evoke all this without a hint of bitterness. It music made by a man who loves what he does and who, in all those forgotten futures would still be playing around with tape loops and having an absolute blast. Catch Howlround live in support of Unicazurn at Ickletick, London on the 1st of February 2019. Click here for details. Hainbach produces music often classified under the Ambient banner but in many ways transcending genre. Famous for his love of esoteric electrical instrumentation and DIY Tape loops, the Berlin-based artist has gained a great deal of recent exposure through his Youtube channel; on which he delivers a series of how-to videos concerning all things Electroacoustic, alongside equipment reviews and insights into his compositional process. The composer’s warm and welcoming manner, his wry command of the English language and the depth of knowledge he brings to his content have garnered nearly 20,000 followers for the channel and nearly a million total views. These numbers are a testament to a new found interest in Electroacoustic music and this resurgence is down in no small part to performers like Hainbach. The concept of performance is key to all of the artists covered here. Their music is dynamic and fluid; they eschew the digital workstation in favour of good old fashioned dials and sliders. And no two performances are the same. 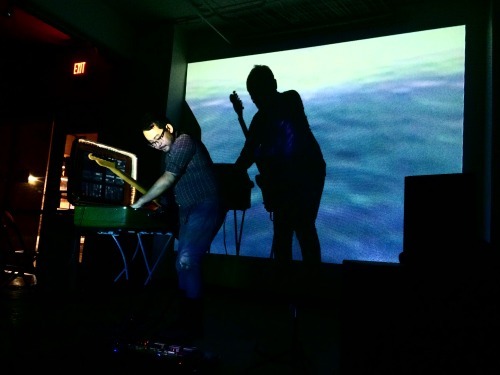 A live performance from Hainbach, be it in the flesh or via one of his videos feels like a collaboration; with performer and listener sharing in the simple joys that come with creating and manipulating sound. There is a particular nostalgia in Hainbach’s process too that appeals to an audience cresting on the wave of generation X. Whereas Robin the Fogs sepia-tinted world of Hammer Horror and public information films is firmly rooted in the seventies and early eighties; Hainbachs brightly colored world is full of late eighties and early nineties optimism. He too uses vintage reel to reels in his work but alongside these are modified Sony walkmans, minidisc players, dictaphones and a plethora of chiptuned keyboards. Another staple of nineties home recording, the four-track machine, is an important part of Hainbach’s rig. Beginning with Tascam’s Portastudio, the four-track machine claimed to enable the home user to create their own studio-quality recordings; the results rarely lived up to such claims but many a demo was recorded on these machines. Quickly joined by a rival Fostex series. The four-track ruled the roost of home recording until the end of the nineties when the Digital Audio Workstation would become King. In the hands of Hainbach and others, however, the four-track machine has been somewhat re-purposed. Many of the techniques involve the use of a tape loop cassette; exact in principle to the 1/2″ or 1/4″ tape loops of Riley or Basinski but representing a somewhat more delicate process with the fine 0.15″ Musicassette standard; something that everyone who kept a Biro next to his or her tape deck can attest to. The principle of sound on sound recording is also at play here and with the erase head covered in tin-foil, this function is enabled. Multi-tracking is inherent to these machines of course but by layering sounds on a single track a great deal more “good” distortion is introduced. Those warm, evocative flutters and wows so redolent of a pre-digital age. A further benefit is the ability to then continue adding layers to the other three tracks, thereby creating four separate voices that can be mixed at will via the onboard faders. As such the recording medium once again becomes the instrument. When one considers the rather good built-in EQ, speed control and the ability to patch in “send” effects of one’s choosing; the once redundant four-track machine becomes an incredibly versatile and expressive tool. Another fantastic DIY hack involves implementing Eno’s signature “Frippertronics” sound without the need for two recorders or an expensive hardware emulation. In short any tape machine with separate read and write heads can be fed back into itself via a mixer and the gap that exists between the two heads will generate a delay. When implemented on a machine with speed or pitch control, further options for modulation are opened up. There was, in fact, a golden age of cassette tape machine production between the sixties and seventies, when the expense and technicality of reel to reel for certain professional applications meant the cassette represented a viable alternative. Manufacturers, therefore, produced machines with higher specs, greater fidelity, and more varied control. Such machines are highly prized in the world of cassette tape music and prices have skyrocketed. One such Player is the Library of Congress C-1. First manufactured in the mid-1970s the C1 was designed as a talking book player for the blind and replaced vinyl in that capacity. Due to the limited recording times of a standard cassette, however, audiobooks were recorded alternately on all four tracks; thereby allowing up to six hours of playback from a single cassette. This technical detail led to the C1 having a unique set of controls. A “side” selector toggle allowed the listener to switch between tracks when instructed and a speed control selector enabled the playback of a standard Cassette. When applied in a musical these two controls open up wonderful new soundscapes. Furthermore, variable speed slider and tone control provide a set of parameters unavailable on most standard players. So what of the music Hainbach coaxes from these devices? He himself lists Brian Eno as an influence and the lineage is clear in the warm, broad soundscapes present in much of his work. The focus is on texture and timbre; the standard tropes of tension and release are slowed right down and abstracted into evolving moods and tonal patterns that, to borrow an adage from the world of writing, show the story rather than tell it. Sound sources are key to Hainbach’s world too. He possesses an enviable collection of experimental modular devices that are far removed from the hackneyed textures of the ever-present Yamaha or Roland Synth; the Koma Elektronik field kit being just such a device. Billed as an Electroacoustic workstation, it’s design and workflow suggest a direct connection with the devices used in the golden age of the music. Unique to the Field kit, however, is the multitude of input sources available. Inbuilt is an electromagnetic sensor, a radio receiver and a low frequency oscillator. Off-board are contact microphones and a unique CV output that allows control of small sound generating devices such as buzzers and solenoids. All of these inputs processed via a four channel mixer and can be modulated via the LFO and envelope follower. ; Furthermore Light, heat and motion sensors can be used to trigger the CV and audio output. In essence, Koma’s unique device allows for the creation of real-time Musique Concrete. It opens up the possibility that anything and everything is an instrument. And when combined with effects units and tape manipulation the potential sonic landscapes become limitless. One wonders how Schaeffer, Ussachevsky or Stockhausen would have viewed the Field Kit, slaves as they were to hours of meticulous cutting and splicing of tape. Equipped as he his with these technologies and an insightful knowledge of the possibilities they open up. Hainbach still approaches the act of creation with a sense of wonder and as sonorous as his other-worldly sonic paintings might sometimes get; They are realized with a playful sense of pure joy. As a result, his Youtube tutorials couldn’t be further removed from a traditional how-to. Instead, Hainbach is on a voyage of discovery and we’re simply joining him on the ride. True to his methods, much of Hainbach’s physical output has been on cassette or vinyl. That said an excellent selection of his albums is available for digital download here. Another facet of Hainbach’s output being the many labels he has released through over the years. His Discogs page provides a good overview of these imprints. Check out his website for news on live shows and of course subscribe to his Youtube channel. Randall Taylor, Amulets Combines Cassette tape loops with guitar textures and innovative effects chains to create lush experimental Ambient soundscapes. Like Hainbach, much of his work employs the humble walkman and he is a master of adapting these machines in ways that are as stimulating visually as they are sonically. This grounding in the visual also informs Amulets’ popular Youtube channel, which like Hainbach’s, provides insights into the artist’s method alongside musical performance. Amulets Videos, however, are largely narrativeless and, shot from a single overhead camera angle, represent self-contained explorations into the sound generating potential in any given configuration of tape machines, stomp boxes and Electronic sound sources. The tech employed by Amulets in these DIY modular setups brings us nicely from the eighties right through into the noughties. The above-mentioned Walkmans are paired with Portastudios, Boss distortion pedals, Mini synths, chiptuned keyboards and crucially Taylors own Live guitar loops; processed, modulated and mixed alongside his tape creations to construct a sound more akin to a four or five piece outfit. 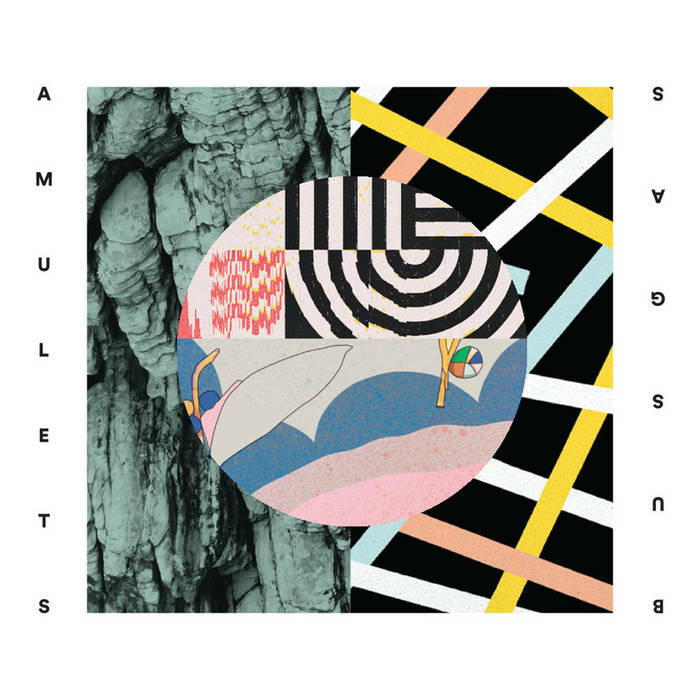 It is therefore also in the inevitable genre comparisons that Amulets seems to represent a particular period in late twentieth-century experimental music. From the worn out loops and Ambient fuzz of Boards of Canada to the Doom laden drones of God speed you Black Emporer; Amulet’s work evokes a post-internet pre-smartphone age. If Robin the Fog speaks for the last of the Baby boomers and Hainbach for Gen-X then Amulets voice is very much of the first wave Millennials. His Suitcase of Drone project too is almost a cooption of DJ culture. His equipment laid out in the aforementioned luggage becomes a makeshift booth, he holds court from behind whilst a psychedelic light show flickers and pulses around him. Like the slow motion Getter of the Ambient scene, his music holds the attention of the Vine generation whilst still being as real and vital as any act from the age of Rock music. Whilst many in the audience have no recollection of Cassettes as a commercial medium. It is perhaps one of the more positive side effects of the information age that the young have access to every possible artistic movement that has gone before. As a result they exist as cultural magpies, taking that which interests them and fashioning new forms filled with reference and homage. Many a purist, or even simply those born before 1990 may argue it represents a dilution of heritage or represents a lazy, unthinking, appropriative mindset. These are of course also the very people who do not listen to the music of today’s DIY underground. Amulets is unique also in combining a Youtube following with so-called serious Art credentials; creating installations, such as the 2018 Poor Reception and performing at Sound art festivals across the US. In this capacity he references many touchstones of tape-based experimentation; from the afore mention use of natural objects as makeshift reels; the two machine Frippertronics technique (albeit utilising his beloved walkman) and the use of natural sound sources such as radio transmissions. In these works he takes all that has gone before and filters it through his passion for the medium and the sounds inherent; he is the ultimate self-starter, free of Art school pretention and unbound by formalism. Another aspect of Amulets work that connects him to the performing musicians of rock and dance music are the tours he undertakes. The 2015 suitcase of drone documentary details this world of long drives, graffiti-covered backstage rooms an afternoon sound checks. He performs often to small crowds in sticky-floored poster strewn rooms but also in art galleries and studio spaces. It is a straddling of worlds not unlike the 1970’s London punk scene or the Velvet Underground’s carefully curated aesthetic. Anything one may write in Critique of artists such as Amulets quickly becomes dancing about architecture when aligned with what informs and drives their art however. They exist in the age of Patreon and Kickstarter and struggle to keep down day jobs so that they might pursue their passions. There is no A and R branding or PR scripting, no market placement or product synergy. They produce music because they can’t stop and they make it available to us because they can. All these inhabitants of the new tape music underground really ask is that they may carry on doing what they are doing; though a few Dollars in Bandcamp sales always helps. Catch Amulets live on January the 16th and April the 6th in his hometown of Portland. And finally be sure to visit the shop section of his website, where he sells his handmade loop cassettes for your own Ambient experimentation as well as modified audio equipment and limited edition merch. Previous Previous post: Walter Ruttmann’s Weekend: The Genesis of Sound Collage and Radiophonic Art.